"What Western brain could have elaborated this strange teaching - never to oppose force by force, but only to direct and utilize the power of attack; to overthrow the enemy solely by his own strength - to vanquish him solely by his own effort? Surely none!“ said Lafcadio Hearn* in 1895, talking about Kano and his 'new invention', judo. Before adding: "The oriental brains appears to work in wonderful curves and circles. Yet how fine a symbolism of intelligence as a means to foil brute force! Much more than a science of defense; it is a philosophical system; it is an economical system; it is an ethical system. Indeed, I had forgotten to say that a very large part of its training is purely moral“. Those are the impressions of a man who definitely was in love with Japan, but it gives an idea of how Judo was perceived in its early years. The fact is that Kano developed the general principles of his method changing the approach that people had about martial arts, simply considered as a collection of techniques at that time. Since the beginning, Kano was emphasizing that the ultimate goal of judo was to make the most efficient use of mental and physical energy. Therefor he rejected the techniques which clashed with his conception of life and security. He paid attention to every single aspect of judo and to its educative potentialities. As a consequence, the judo etiquette and the aesthetic dimension of it were considered to be a big part of this mental and physical discipline, as much as the means of defense and attack. If judo could be seen, from the Coubertinian perspective, as a pure sport, composed of intense exercise, competitive involvement, elitist education and character building, it would also be seen as a way of life. The principles of judo worked inside and outside the dojo, in the workplace, the school, the political world, in the family... everywhere. Getting rid of all dangerous, killing or maiming techniques, Kano obliged judo players to grapple with one another, 'offering' their mutual equipment (judogi) to help one another to practice. This made judo totally different from any other activity as your own judogi is meant to help your opponent to throw you. This was and still is one of most powerful aspect of judo. By restricting violence, Kano made sure that judo was safe and thus he improved falling techniques. He also explained that whereas it had always been understood as a goal, victory now became a means of building people's characters and minds. His method differed also because it referred to science and rationalism. Going on the opposite direction of the traditional ways of teaching, Kano Jigoro liked to explain judo techniques from a scientific point of view. For him attitudes, forces at play, the problems of balance and the displacement of the centre of gravity were key factors. The Canadian scholar David Waterhouse, who was Professor Emeritus of East Asian Studies at the University of Toronto, emphasized the diversity of sources which influenced Kano Jigoro throughout his life. 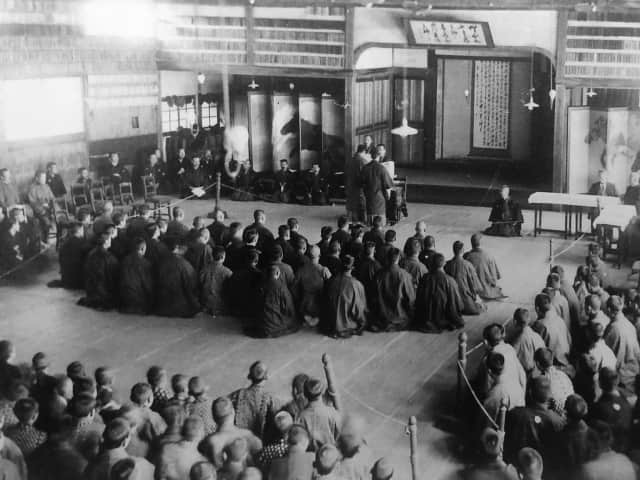 He demonstrated how the founder of judo was heavily influenced by a long tradition of thought in which mostly Confucian and also Buddhist elements merged with Taoism and Shinto. Kano's strategy in the field of education was based on three main elements: the acquisition of knowledge, the teaching of morality and the training of the body by physical education. A healthy body is a condition not only necessary for existence but as a foundation for mental and spiritual activities. He insisted on the ultimate objectives of physical education: “No matter how healthy a person may be, if he does not profit society his existence is vain.“ Kano repeatedly showed how the efficient use of mind and body was the key to self-fulfillment. 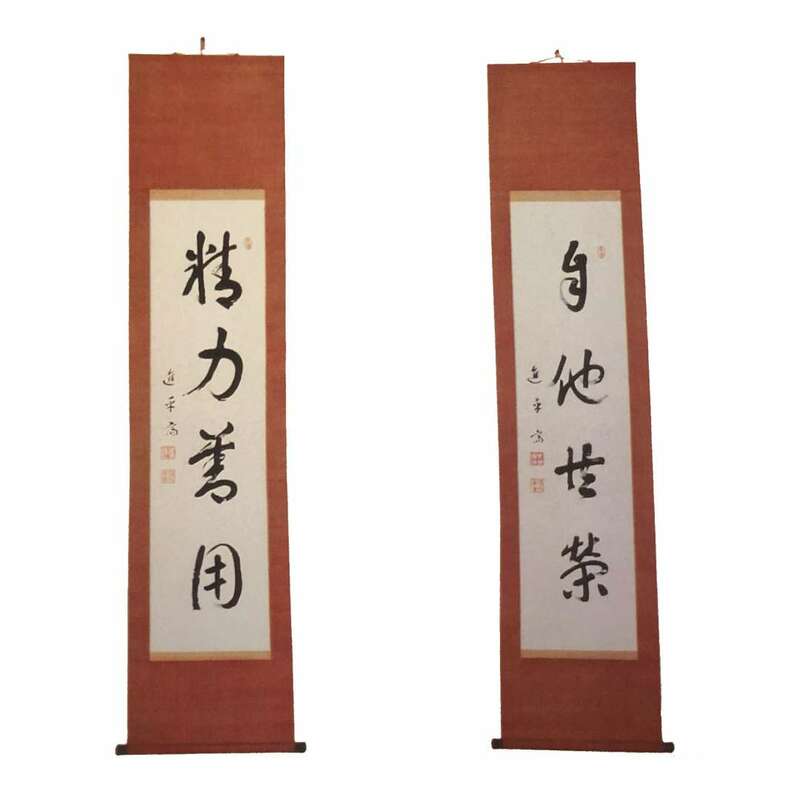 He added the Confucian concept of social obligation and consequently of helping others. Kano's principles were gathered in the two mottos, which were first launched with the establishment of the Kodokan Cultural society in 1922: Seiryoku Zenyo and Jito Kyoei, one must make good use of the spirit and physical strength for the common good and to reach self-realization. The birth of modern Japan took place over several decades, with deep and irreversible changes. Pressured into change by the Western world, Japan shifted from a feudal, agricultural land to a capitalist, industrial and modern state. Various reforms were engaged to fill up the technological gap and to make sure that the military power of Japan would be reinforced. Western models were adapted or adopted. An ambitious system of education was set up to answer new needs. 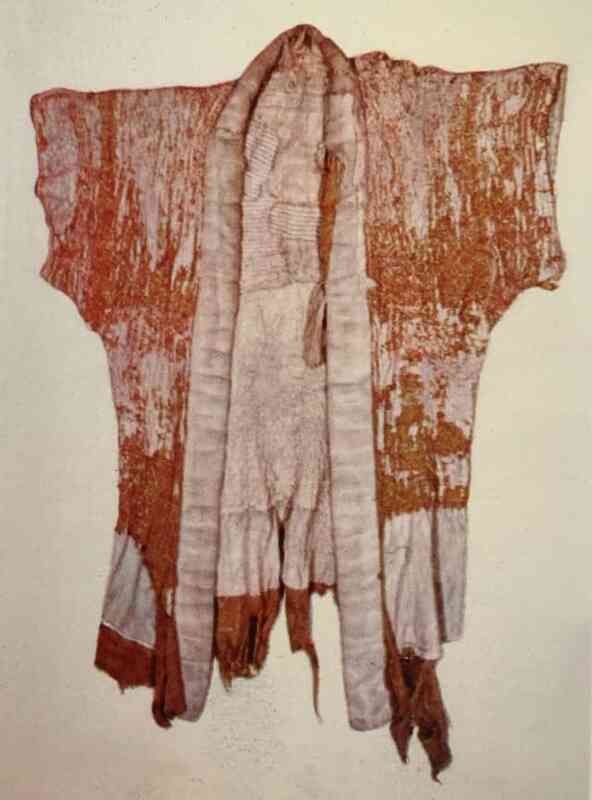 The reconstruction of martial arts as it was imagined by Kano participated in the transfer of values that were a priority at this time, such as discipline and courage. The contribution of martial arts to the ambitions of modern Japan was evident and the objective of the country was to transform every citizen into a samurai. The Meiji Restoration triggered a political and cultural reorganization which revolutionized numerous aspect of Japanese society. When Kano reoriented the course of traditional martial arts, he invented a culture of the body that to be equated with Japanese identity. To the arts of war only practiced by the samurai social elite, he substituted an art of pedagogy and aestheticism in which the confrontation was euphemized; he imposed a new system of physical and moral education for every citizen. 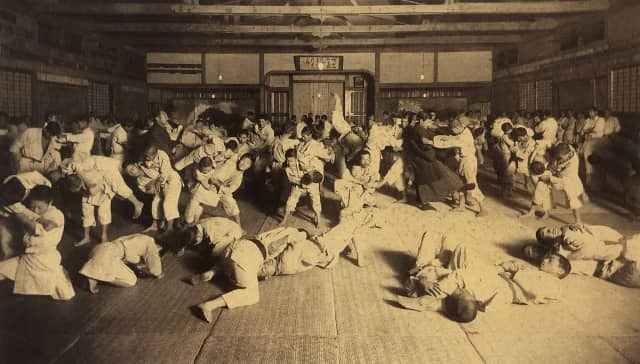 “Kano style Jujutsu" as it was initially labelled was soon acknowledged as such and was seen as superior to what was taught in other jujutsu schools. Nevertheless, at the very beginning, the educational purpose of judo remained an ideal that was not easily shared. But the power of Kano's ideas and his amazing personality, his numerous social connections allowed him to push forward his conception of physical exercise. After the early years, which Kano devoted to develop judo, it is mostly from 1910 to 1920 onwards that the true development began at the national level, especially when the success achieved led to the transformation of the Kodokan into a cultural association and that judo was included in the curriculum of schools. The transformation of a martial art into an educational system in Japan constitutes the first period of a larger development. The second stage, when judo starts to spread outside of the Japanese borders, is more complex. The modes of appropriation vary with the countries, which can explain the similarities and differences noted in the development of judo outside Japan. * Lafcadio Hearn (1850–1904) was a British national of Greek and Irish descent. After travelling over halfway around the globe, he arrived in Japan. In 1896, he married Koizumi Setsu, the daughter of a Matsue samurai, and became a Japanese citizen.